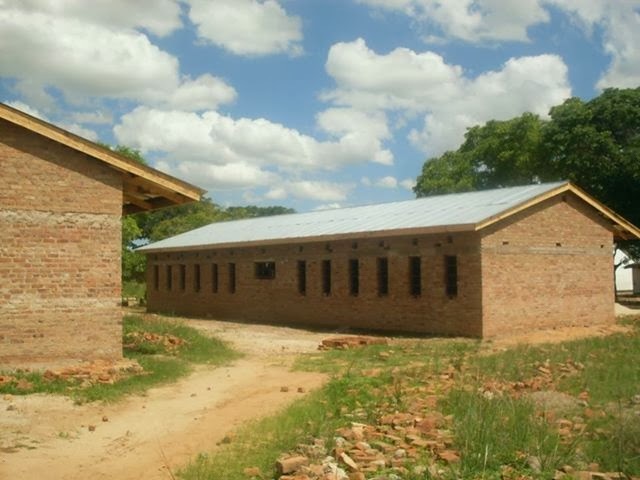 Zimbabwe has for the past two decades been experiencing chronic budgetary constraints due to problems originating primarily from the land reform program leading to restrictions in accessing multilateral funding support including development loans invoked by the Zidera Act of 2001 https://www.govtrack.us/congress/bills/107/s494/text). These restrictions ignited poverty and political instability precipitating a massive human capital flight of desperate Zimbabweans into the Diaspora who are now estimated at plus or minus 4 million people. 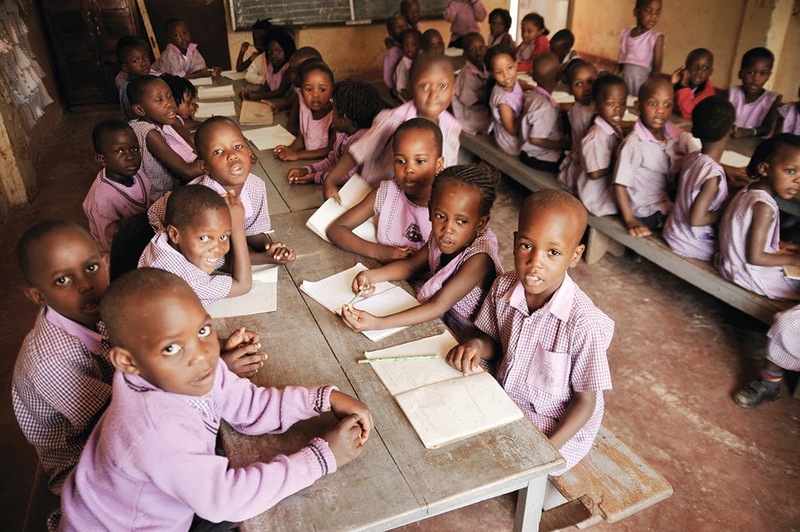 An estimated £40 billion in development assistance funding has thus been foregone resulting in the unprecedented deterioration of public infrastructure and services including the collapse of key industries and defaults in international debt repayments. The global economic crisis has adversely impacted on confidence in debt markets, many countries including Zimbabwe in particular is as a result also experiencing difficulties in accessing and obtaining private financing which is exacerbated by economic restrictions imposed on the country by the US and its allies in 2001 to date. These difficulties have pushed governments to be innovative and explore alternative means and options of accessing cheap resources. The Diaspora bond is one such facility that has managed to sustain economies in distress and Israel has successfully manoeuvred this instrument to bridge-finance its economy. Due to the rise in domestic poverty, many families have been sustained by remittances from family members in the Diaspora. It is now estimated Zimbabwe received about £1,6bn this year alone according to Finance Minister Patrick Chinamasa, from remittances making it the second largest contributor to Zimbabwe's Gross Domestic Product (GDP). The standards of living of the majority of Diasporas particularly in developed countries has significantly improved over time, which makes it worthwhile to target expatriate Diaspora communities as potential investors in capital investment projects in the form of Diaspora bonds (Db). Research has proved that Diaspora bonds and remittances are a vital source of unrestricted funding particularly in difficult times as has been acknowledged in Zimbabwe that remittances did help prop the Zimbabwean economy from collapsing during its worst crisis point in 2008. In general, a bond is basically a debt security instrument with an original maturity date of more than 1 year and is also tradeable in the financial markets. 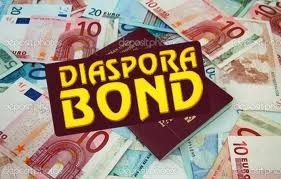 A Diaspora bond (Db) is a bond issued by a country to its expatriate citizens' resident in the Diaspora to tap into their accumulated savings. It is an alternative to borrowing from the global financial institutions, capital markets or bilaterally from other governments. The idea of tapping into migrant wealth is not new. The practise of issuing Diaspora bonds dates back to the early 1930s with the first issuers being Japan and China followed in the 1950s by Israel and later by India in the 1990s. 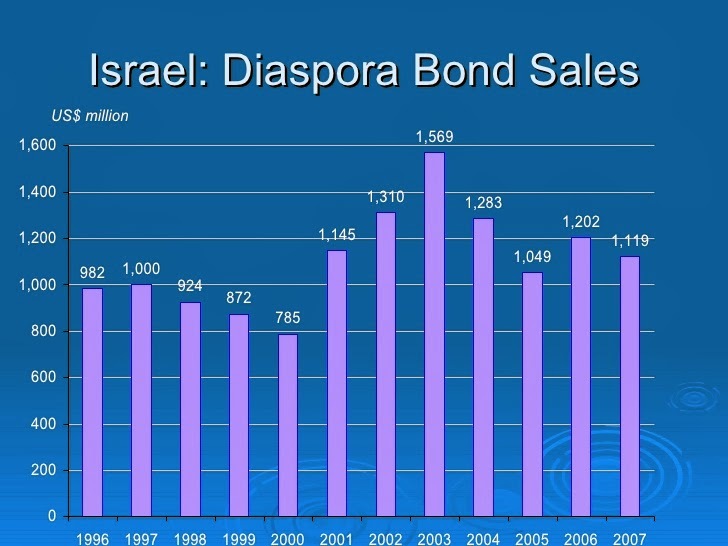 The Israeli bonds have been a success story and are estimated to have mobilised an estimated $25 billion in the past 30 years. 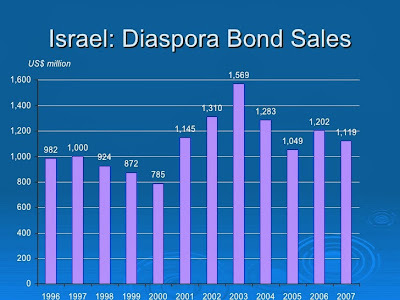 According to statistics, Israel’s Diaspora bonds accounted for 20-35% of its outstanding external debt between 1983 and 2003. In considering the floatation of Diaspora bonds (Db), Zimbabwe needs to draw lessons from Ethiopia. Ethiopia is the first African country to explicitly issue Diaspora Bonds targeted at its nationals living abroad. Ethiopia’s first Db issue in 2008 which was unsuccessful, dubbed the “Millennium Corporate Bond,” was intended to finance the Ethiopian Electric Power Corporation (EEPCO) hydro-electric power project. The bid failed to raise the expected cash revenue due to a variety of internal and external factors. Internally, it was mainly due to the lack of trust in the utility to service the debt, lack of faith and trust in the government’s credit guarantee and the overall volatile political climate in Ethiopia at the time. Externally, this was due to competition from bonds in the migrant’s adopted countries particularly the US and the effects of the liquidity crisis caused by the global economic crisis. Ethiopia’s second DB issue was in 2011 to finance the 5250W Grand Renaissance Dam Project which was issued this time by the Finance Ministry on behalf of a State Utility and incorporated a number of enhancements such as a more concerted effort to engage with the Diaspora community in target geographic locations. The issue incorporated key investment incentives and was less politically driven. It was primarily the emphasis and enforcement of repayment in convertible currency which made the 2011 bond more appealing to investors living in developed countries. In the context of Zimbabwe, there is need for a massive investment on the modernisation of communication tools and technology upgrade that is critical to inducing the Diaspora community to participate in such Capital finance initiatives. There is need for investment in and promotion of increased use of electronic money transfer and payment systems that incorporate international systems such as Pay Pal and BACs to enhance capacity in handling large financial transactions and reduce red-tape. This measure will help alleviate current liquidity problems being encountered and promote wire-transfer payment arrangements thus reducing the need for physical currency circulation of large amounts unnecessarily. This also facilitates the effective monitoring of the flow of remittances including facilitating the securitisation of foreign remittances using established Money Transfer Operators (MTOs). This will go a long way as well to eliminate current problems being experienced by established MTOs such as Mukuru.com which is impacting on public confidence in this system. Zimbabweans have a high literacy rate and most of its nationals in the Diaspora command high skills mobility potential due to their strong educational background, a legacy of post independence Zimbabwe. A majority of Zimbabweans believe in their culture of investing back home and this is an area where government support is needed to help ensure that these resources are applied in capital projects that have an overall benefit to the aspirations of the nation’s development agenda. This lack of synergy is evident in the thousands of low cost imported vehicles that have ended up making Zimbabwe a dumping ground for vehicles that are beyond their useful life flooding the streets and resulting in a drain of more scarce resources. It is estimated that there are over 500 000 un-roadworthy vehicles in Zimbabwe leading to serious road carnage and a loss to vital human lives. (http://www.herald.co.zw/500-000-vehicles-unroadworthy-mpofu/). Due to the nature of political polarisation and manner in which human capital flight occurred, there is very little or no data available that has a complete mapping of Zimbabweans in the Diaspora making it even more difficult to plan how to effectively target and engage this community due to the spatial distribution and lack of accurate information but the areas of concentration including income data. A lot of the Diasporas suffered from lack of proper documentation in the early years leading to a concentration of low level jobs being taken up, but the situation has changed significantly with more Zimbabweans graduating in various post graduate studies and landing into highly skilled and rewarding jobs of late. There is scant information on how much the Diasporas earn, save and invest, key information that can facilitate effective planning and engagement. The ZIMSTATS Office carried a country profile published in 2009 which is not quiet convincing as detailed on the table below based on the sources of data. The thorny issue of weak institutional capacity in Parastatals, rampant corruption and lack of accountability needs to be tackled to restore public confidence. Lack of effective oversight on the prudent operations of state enterprises which has seen some CEOs earning more than 15% of a Parastatals revenue in-flows, at a time when such institutions are failing to pay wages to more than 80% of its workforce including the lack of transparency in the accountability of Diamond revenues are some of the current issues of public concern that to be tackled as well. (http://www.financialgazette.co.zw/clean-up-psmas-now/) These become key issues of concern for public interest in being responsive to the calls to subscribe to Diaspora bond floatation and entrusting these resources to these institutions. There is need to heal the rifts that have polarised relationships due to the volatile political climate that has prevailed over the past decade. A lot of Diasporas still harbour bitter sentiments emanating from previous political outbursts that have resulted in loss of mutual confidence between the State and the Diasporas. There is need to research on the clarity and suitability of regulations in the respective host countries to gather and ascertain conformity of conditions of the bonds with local enforcement laws across the globe for smooth operation of these bonds. . The government is currently facing challenges of political insecurity due to the disputed July 31 polls that are yet to be endorsed by most countries in the developed world and a major stumbling block to mending relations with multilateral institutions. There is need to provide guarantees to policy consistence to reassure the Diasporas that previous decisions that undermined the credibility of the banking sector following the unilateral decisions to collapse Foreign Currency Denominated Accounts (FCA) by the Central Bank will not be repeated. 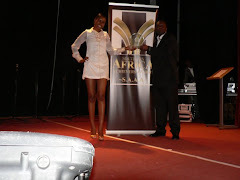 (http://www.theindependent.co.zw/2006/07/21/pay-homelink-proceeds-in-forex-rbz-told/). The other policy issues that are of Diaspora concern regards challenges emanating from the current liquidity crisis and how it is being managed. A number of indigenous owned banks are struggling to meet depositors’ demands and this casts a shadow of doubt on issues of credibility. (http://www.bloomberg.com/news/2013-12-18/zimbabwe-bank-manager-assaulted-as-clients-fail-to-draw-cash-1-.html). Other key macro-economic management issues include measures being taken to resolve the £11 billion debt crisis including the protracted illegal economic sanctions that are crowding out government efforts to turn around the economy. The Reserve Bank of Zimbabwe (RBZ) set up a subsidiary company Homelink (Pvt) Ltd in 2004 to mobilise foreign currency remittances and facilitate property acquisitions and development for Zimbabweans in the diaspora, a package significantly mirrors the Diaspora bonds. It is believed the conditions of this scheme were not properly thought out and based more on limited assumptions that were more of a replication of the sub-prime mortgage deals that triggered the collapse of Fraddie Mae in the US and triggered the financial housing cash crisis that ignited the global economic crisis in September 2007. As toxic effects of this scheme sank poisonous fangs midway into its implementation, its venom shocked the product which was also exacerbated by severe foreign currency shortages which hit the domestic market. The RBZ compromised the credibility of the deal following a unilateral instruction to its associate MTOs to pay recipients under this deal in local Zimbabwe currency when the Diasporas were compelled to only pay-off the loans in hard currency which in turn accrued to the Central bank. The decision fuelled the parallel black market causing even more problems for the economy as the Diasporas opted to deal with the more flexible and even more competitive black market. According to experts analysis, the foreign currency exchange rate offered then by the RBZ was far too low to attract the diaspora market and given that it was also a fixed rate which was not responsive to volatile environment that unfolded as the ripple effects of the global economic crisis were setting. The scheme was dealt with a nail in the head in 2008 when the then Acting Minister of Finance Patrick Chinamasa announced the government decision to discard use of the Zimbabwe dollar in preference of the US dollar as official tender. The turn of events made the scheme unattractive leading to the decision in 2011 for the RBZ to ditch non-core quasi fiscal activities. Although financial products under Homelink had been re-engineered to adapt to the volatile environment, a lot of damage had been done to its reputation. A lot of properties under the scheme were repossessed from the Diaspora participants who felt trapped in the devil's dungeon and unrealistic clauses which were part of the packages. It therefore goes without elaboration, that there already exists painful experiences that have scarred both sides giving rise for the need to put more effort in gathering intelligence data and engaging with the Diaspora to remove predatory tendencies and scheming the Diaspora community. The government through the Budget presented by Finance Minister Chinamasa, earlier this month expressed its interest in engaging the Diaspora to fund some small scale hydro-electric schemes through issuance of Diaspora bonds in return for tax and import duties concessions and participation in the indigenisation programme. In the spirit of transparency and democracy as expounded in Zimbabwe’s new Constitution, it is perhaps advisable that meticulous efforts be made to consult and engage the Diaspora to make an informed input into the complexity of what of form and shape the first Diaspora bond issue should appear like. A one size fits all approach may not attract Diaspora interest taking into account a number prevailing factors as discussed earlier. The offer on the table is only focused on hydro-electric schemes but needs to a have a broader outlook in my view. It is advisable and prudent to come up with a basket of unique projects covering different sectors that could be optional such as housing, power generation, health facilities, upgrading of infrastructure, tourism development and transportation, etc. This gives flexibility given access to opportunities differs across the globe as some areas may be ideal to use these instruments with flexibility. It is also vital that a frame work be formulated that guarantees accountability, transparency and effective governance necessary to enforce these contracts given the weak institutional capacity that currently exists. The government needs to take this opportune moment to offer incentives that can guarantee long term engagement mechanisms with the Diaspora. In mind, it should create conditions that encourage the Diasporas to register with and engage with their respective embassies. This should also come with decentralisation of key services like a quick turnaround in the processing and provision of key documents such as birth certificates and passports among others. The embassies need to be also equipped to help Zimbabweans stranded in the Diaspora for whatever reason to provide a protector of last resort status in times of difficulties to reduce cases of people dying either due to destitution and neglect. The government needs to foist and demonstrate a culture of caring and genuine concern for its abroad to make this engagement worthwhile and not be construed merely as a desperate measure to callously milk savings and resources from the Diaspora community in difficult times. This paper discussed the rationale and potential of issuing Diaspora bonds as instruments of raising external development finance drawing on experiences from Ethiopia. Ethiopia has so far issued two Diaspora bonds, the first one was unsuccessful and the second one generated substantial interest in the Diaspora after suitable adjustments and consultations had been taken into account. There is need to deal with challenges affecting Zimbabwe’s economy which discourage participation of the Diaspora community to engage government in infrastructure development. There is need to engage the Diaspora and carry out an exercise to determine their geographic location across the globe, as well as key data such as skills, occupations, earnings, savings and investments and to promote engagement with embassies regularly for data consistency. Australia has carried out such an exercise which can be a learning curve. The government needs to deal with governance challenges such as rampant corruption, weak institutional capacity and governance polarisation to foster cordial relations with the Diaspora community. There is need to consult the Diasporas on optional projects that they may be interested in investing in and to formulate a framework that guarantees accountability, transparency and capacity to manage the investments. Lessons from the Home link schemes should be a seriously considered given that this is product that failed dismally, taking into account that there are no immediate signs of the economy stabilising in the short to medium term. Lets not all be blinded by the past events and cast a selfish shadow to our future generations! We need to all compromise and work together greater good, lets find each other and use the stones that were thrown to build a new foundation that creates a best practice model for Africa to emulate ! 2014 is now uploading ! Bring it on and discards any bitter sentiments in the process ! But there is absolutely no mention of the Homelink project that spectacularly failed. I thought to move ahead one has to analyse this more than analysing the Ethiopian situation. This was a Zimbabwean Govt and Diaspora initiative. Many thanks for your observations and concerns, the report has been reviewed to incorporate some of these views and hope we will be able to influence policy to fund detailed factual studies for effective service delivery.